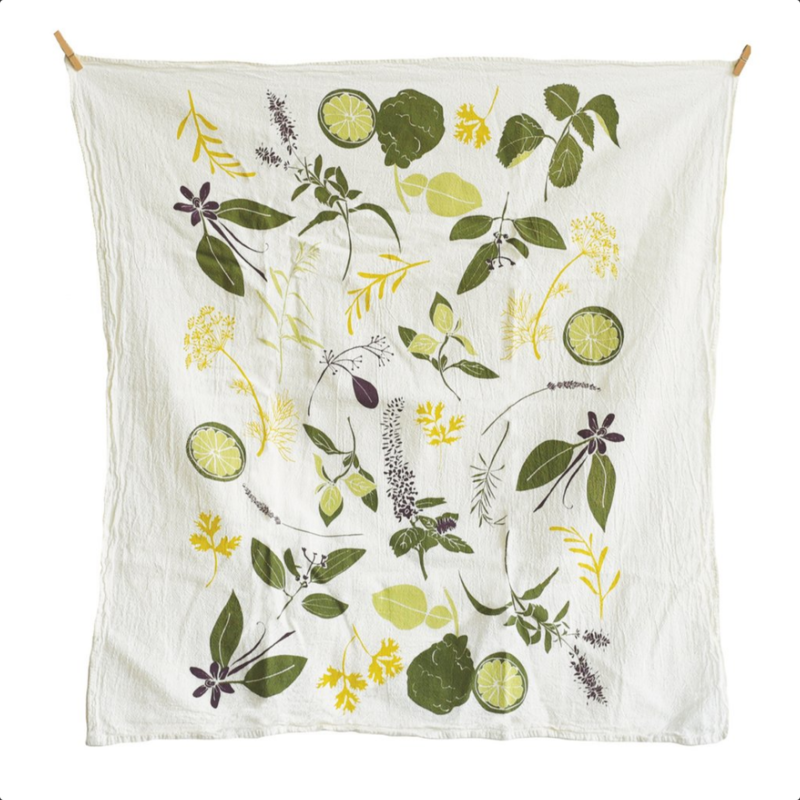 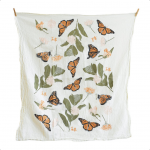 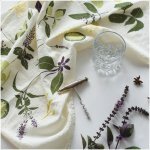 This towel is scattered with herbs used in cocktail favorites like, basil, mint, cinnamon, lemon verbena, and kaffir limes to name a few. Makes a great gift for your favorite mixer! 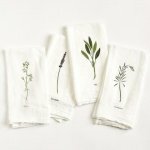 Screen printed on flour sack cotton to preserve its uniquely soft, absorbent and durable nature, this towel is machine washable and safe to bleach allowing it to hold up in the busiest kitchens.